Japan takes dessert very seriously. 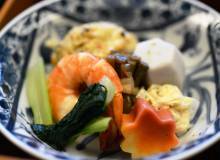 While it’s easy to appreciate the craftsmanship in traditional handmade sweets like wagashi and mochi, the country’s mass-produced goodies are just as commendable. But among a sea of brightly-coloured, impeccably-packaged contenders, the heavyweight champion of Japan’s confectionery circuit is Pocky. 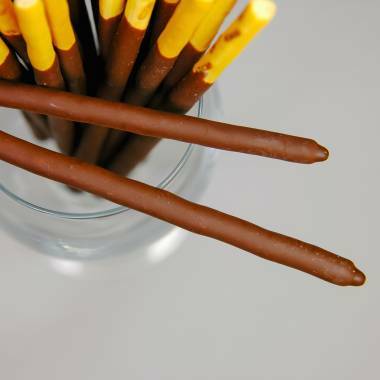 Glico’s chocolate-covered biscuit sticks are both classic and modern: they’ve been on shelves for fifty years but are constantly reimagined in an endless variety of flavors, including a recent “adult” addition that sees both its cookie stick and chocolate coating blended with whiskey. Pocky has become so famous in Japan that in 1999 it was granted its own official day by the Japan Anniversary Association. And not just any old day, but November 11. The eleventh day of the eleventh month, a set of numbers which bear an uncanny resemblance to a row of a certain dessert stick you may recall. But while Pocky Day’s sentiment is based on friendship, its origin story is surprisingly rife with theft, deceit and delicious revenge. To get to the bottom of it, we need to go back to the beginning. 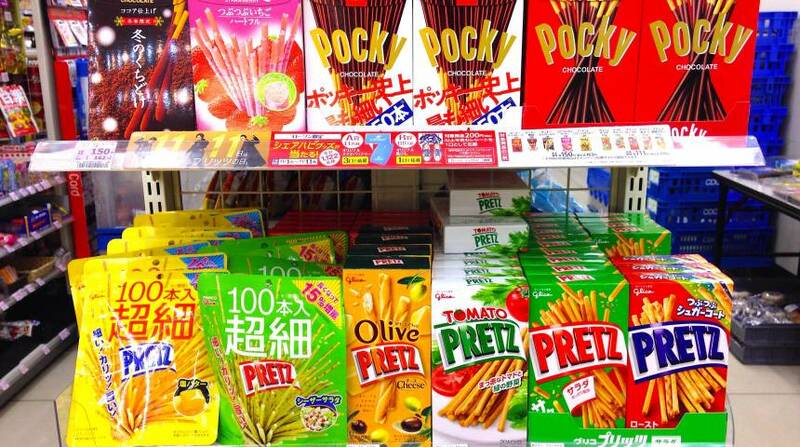 First, there was Pretz, Ezaki Glico’s savory predecessor to Pocky (and which remains as a successful snack in its own right). Three years later, Pretz was dipped in chocolate for a decadent twist. Pocky shot to popularity in Japan and Ezaki Glico raked in profits as their arsenal of stick-shaped goodies enjoyed relatively unrivaled success. Everything changed with the arrival of Pepero. In 1983, almost two decades after Pocky made its debut on Japanese shelves, South Korean manufacturer Lotte began selling a long, thin biscuit dipped in chocolate. Sound familiar? It did to Glico. But since Pocky wasn’t available for sale in Korea, its parent company wasn’t able to successfully build a case against this bold appropriation. As a result, Pepero became a smash hit in South Korea while Pocky execs mourned the loss of a chunk of the Asian confectionary market. But what happened next made Glico livid. The story goes that two Korean schoolgirls decided to make a wish on November 11, 1994. 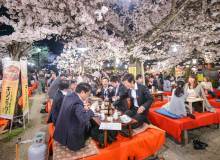 In the hopes of becoming tall and slender like a pair of number ones–or their favorite Korean snack food–they ate a handful of Pepero in a bid to invoke cosmic intervention. We know what you’re thinking: it seems unlikely that committing to eating a box of chocolate-covered cookies would be the fastest route to a slim silhouette. 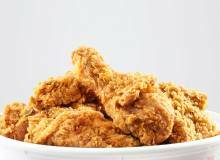 Whether the story was concocted by a boardroom full of marketing execs or actually originated with a sugar-centric diet pact, it caught on. Pepero Day officially launched in 1997 and in recent years has accounted for a staggering 50% of Lotte’s annual profits. Meanwhile, back in Japan, Glico watched in disbelief as a Pocky knock-off eclipsed its estranged foreign ancestor by an unimaginable sales margin. It may have been tempting to point a Pocky-shaped missile at the Lotte factory and do something drastic, but they resorted to a much more classical form of revenge: an eye for an eye. Lotte had stolen from them, so they would do it back. Two years after Pepero Day took the Korean calendar by storm, Glico made an identical announcement in Japan: as of 1999 (or year 11, according to the Japanese calendar), November 11 would be henceforth known as Pocky Day. And that was that. 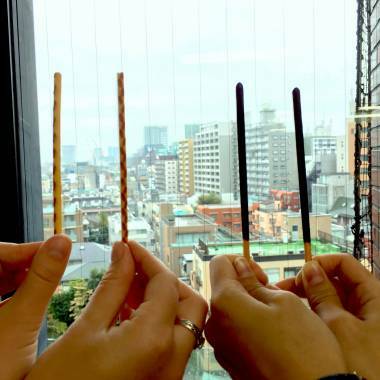 Over the past 17 years, each Pocky Day has been accompanied by new publicity stunts, including two that earned Glico the distinction of having broken two Guinness World Records: Most Mentions of a Brand on Twitter in 2013 and the incredibly specific Largest Online Photo Collage of Cookies/Biscuits (one has to wonder just how many competitors vie for a niche title such as that). If you keep a level head and remember that buying Pocky doesn’t have a direct effect on your relationships or your odds of achieving a stick-figure physique (or does it? ), Pocky Day can be a fun excuse to stuff your gob full of sweets. A nationally-mandated snack break? Now that’s something to celebrate.